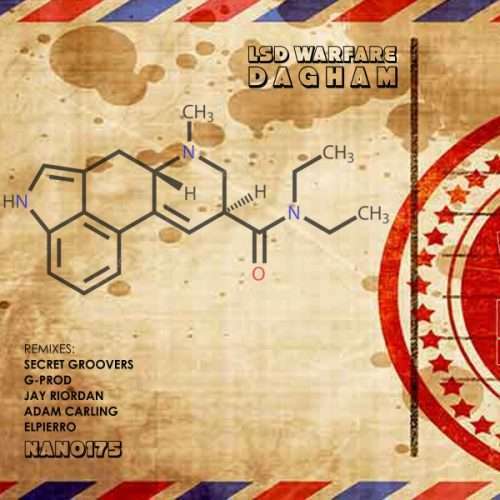 LSD Warfare symbolises the sound of Dagham -proper techno, proper acid house, simply proper – evolved from the hey day of the Sheffield bleep scene, fined tuned behind the turntables of Ireland’s clubs and part of the current acid house revival in the UK and Europe. 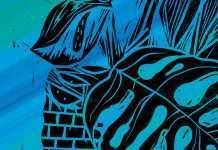 Dagham has been inspired by DJ Pierre, Gerald Simpson, LFO, Richie Hawtin and Luke Vibert and pays homage to the pioneers and creators of acid funk and high tech soul. LSD Warefare is one of his first forrays into modular music and to make things that bit more DJ friendly, he has roped in the skills of Denmarks, Secret Groovers, Germany’s Elpierro, Frances G-Prod, Irelands Jay Riordan and the UKs Adam carling to reinvent, rearranged and twist into their own version. Dave Ingham aka Dagham has been part of Nice & Nasty since he mid 1990s playing their parties in Belfast, travelling from Leeds and hen relocated to Dublin at the turn of the century to forge the new Nice & Nasty.